Moschino drew inspiration from Audrey Hepburn's wardrobe in Two For The Road. 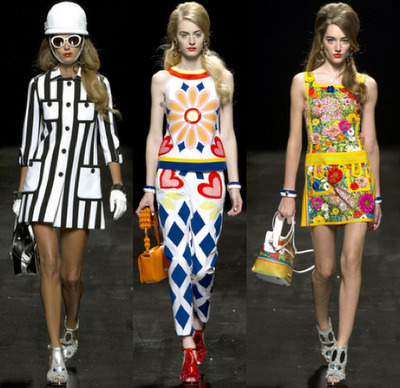 With bright colors and graphic prints, the collection feels like it came right out of a sixties doll house. 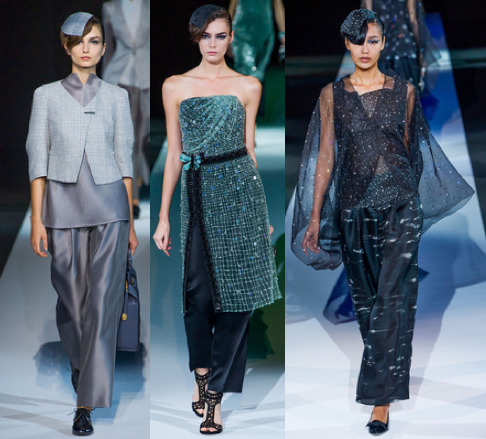 Giorgio Armani took his collection to the final frontier with glittering sheer fabrics, galactic prints, and a lovely mix of black, deep blue, silver and glints of light. 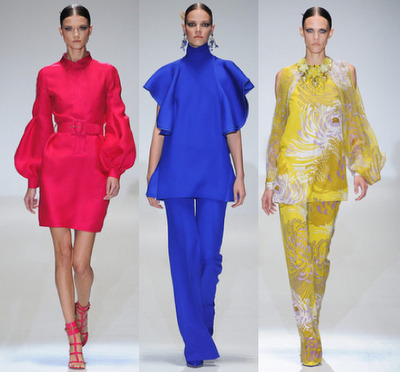 Gucci focused on color and silhouette for spring. Most of the clothes took on strong shapes in vivid hues. The tones transition from one to the next with swirling prints.